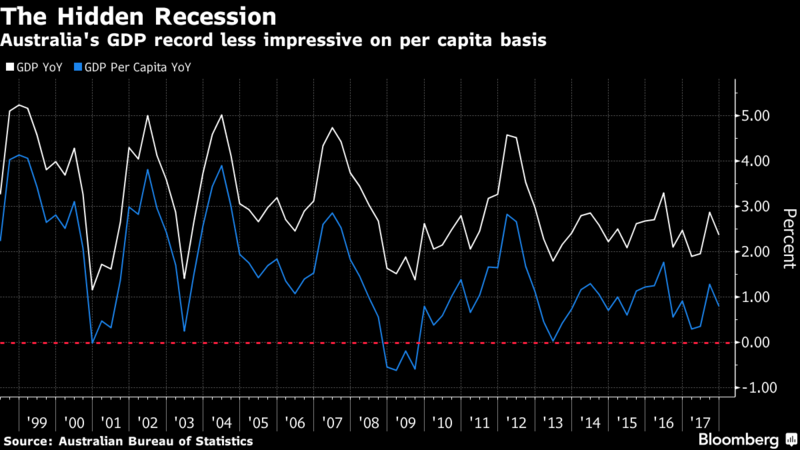 A flood of arrivals that’s swelled the population by 50 percent over the past three decades has underpinned economic growth and allowed a succession of governments to boast of avoiding recession since 1991. Populists are blaming immigrants for over-burdened infrastructure, soaring housing prices and low wage growth. Australia’s former Prime Minister Tony Abbott, now on the government’s backbench, is among those saying “enough.” He wants to slash the annual allowance to 110,000 migrants from 190,000, a move the government says could shrink its coffers by as much as A$5 billion ($3.9 billion) over four years. Anti-multiculturalism senator Pauline Hanson is calling for zero net migration. India is the biggest source of skilled migrants, comprising 21 percent in fiscal 2017, followed by China on 15 percent and the U.K. with 9 percent. While its 25 million people dwell on a continent that’s 50 percent larger than Europe, an arid and dry climate makes most of the land uninhabitable. A government-commissioned report this month said another 11.8 million will arrive in the next 30 years, with the vast majority going to the nation’s four largest cities — Sydney, Melbourne, Brisbane and Perth. For now, Prime Minister Malcolm Turnbull is standing firm on immigration, signaling he won’t adjust a policy that added 1.6 percent to the nation’s size in fiscal 2017, compared with the developed world average of 0.7 percent in 2016.